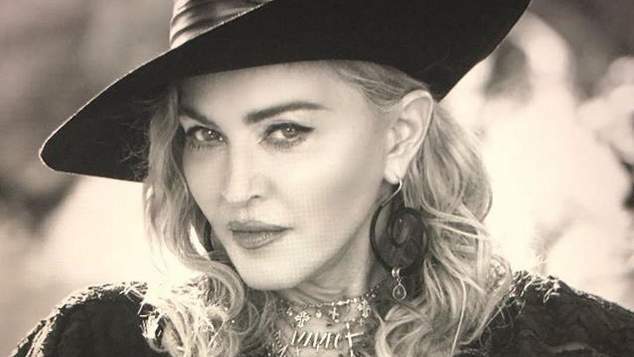 Madonna celebrates her sixtieth birthday today, the singer has had hit records consistently throughout the last four decades and has constantly reinvented herself. Right from the beginning of her career Madonna has championed the LGBTIQ+ community, been outspoken about HIV/AIDS and put queer culture and people front and centre in her work. Madonna’s currently in Marrakesh celebrating her milestone, check her Instagram for photos! To mark her 60th birthday celebrations we’ve chosen some great Madonna songs that were ‘not the usual suspects’, under appreciated tunes from her many hits. The Look of Love was the third song released as a single from Madonna’s film Who’s That Girl, following the title track and Casing a Commotion. It’s a powerful ballad. The song was only released as a single in Europe where it enjoyed chart success. I’ll Remember was featured on the soundtrack to the film With Honours. The song was nominated for a Golden Globe award and a Grammy. The song was originally written by Mr Mister lead singer Richard Page but was reworked by Madonna and regular collaborator Patrick Leonard. It was a top 10 hit for Madonna in 1994. Bedtime Story is written by Bjork, an earlier incarnation of the song appears on a b-side to one of the Icelandic singers singles. Released in 1994 its acid, ambient and house sounds were an indication of where the singer would head on her next album Ray of Light. Madonna teamed up with Massive Attack for this cover of a Marvin Gaye classic. The orchestral arrangements are celebrated composer Craig Armstrong. The song was featured on a tribute album to Marvin Gaye. Originally Massive Attack recorded the song with Chaka Khan but they were not happy with the results, they tried to record it with Aaron Neville but a session could not be scheduled, so they turned to Madonna. Angel was the third single from Madonna’s Like a Virgin album and it didn’t even get a video, which is surprising given Madonna was the queen of MTV. A compilation of previous clips was used to promote the song, or often music shows would play the footage of Madonna performing during her first concert tour. The song was a number one hit here in Australia in 1985.